Now you can link yourself with more pleasure UHD by purchasing Samsung Smart LED that is one of the best innovation in the world of television. It will be your ideal source to let you amusing yourself at any time. In Pakistan, peoples are used to watching news headlines in the morning while holding a cup of tea whereas they also love to spend their quality time after exhaustion schedule of the entire day. Television is one of the frequently used electronic devices in Pakistan that comes with different styles and features. Samsung is one of the known brands of electronic items that serves for its global customers. It is used to bring something new for its customers that contain the latest technology and upgraded features. If we talk about the struggle of Samsung to make TV smarter than you can easily recall the latest technology in the Smart LED of Samsung. These Samsung Smart LEDs come with a 4K resolution that allows you to enjoy every single moment with a clear reflection of an image. 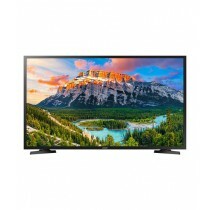 Samsung Smart LED TV Prices in Pakistan provides worthwhile experience to you due to its updated features. The detail of image become more accurate with 4K UHD and cluster of actual colors. Samsung Smart LED TV Prices in Pakistan is ideal for that updated resolution and you will feel good while paying for it. Samsung Smart LED TV is now not only an entertaining device because connectivity options enhance its value and make it more meaningful. You can connect those Samsung LEDs with other devices through their Bluetooth and Wi-Fi options. These LEDs also become more valuable due to clear audio and perfect pitch of a voice. The support of good sound makes your visual experience more worthy and you love to own that smart TV to make your life smarter. Samsung Smart LED TV available in multiple sizes and designs in the same amount as Samsung Smart LED TV Prices in Pakistan. Their price also depends on technical updated features which are varying from model to model but it mainly 4K UHD TVs, 4K SUHD TVs, HD TVs, Full HD TVs and many more. We collect chunks of genuine Smart LED that has high demand throughout Pakistan. Samsung Smart LED TV is one of those Smart LEDs and we are offering them at a similar price as Samsung Smart LED TV Prices in Pakistan. If you are looking for reliable Smart LED then it is best for you. You can get different sizes and styles of Samsung Smart LED TV at our online store through which you can buy right one for you. You can get a captivating variation of Samsung Smart LED TVs at our online store and buy it with the help of only a few clicks. Samsung Smart LED TV Prices in Pakistan depends on its sizes, features, and models. We make sure the availability of approximately all Samsung Smart LED TVs through which Pakistanis can also enjoy the latest smart LED and give the face of reality to their dreams.